The name of this small Hamlet on the pilgrimage route comes from the large number of birch trees that greet the pilgrims on their descent to Triacastela, a town that can already be seen from this enclave. Here pilgrims will find two rural houses and a picnic area with six tables where they can eat outdoors. In the small chapel of San Pedro, through which the ancient Way passes, pilgrims can also seal the credential. 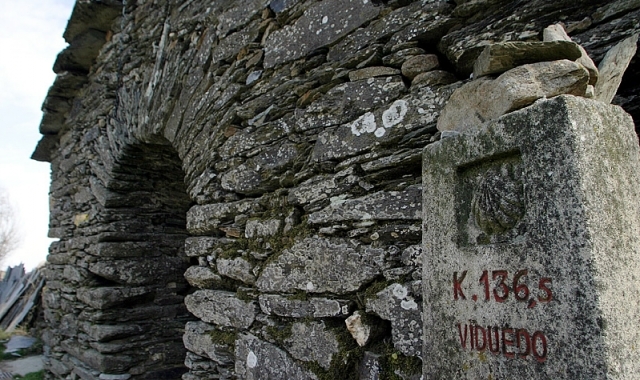 If you are traveling on the Camino de Santiago or are planning to do so soon, you should know that the distance separating O Biduedo from Santiago de Compostela is 141 kilometers.